Renowned Internation Presenter James Waslaski is back in Australia! James is returning to Australia with his successful two day seminars on Upper body system assessments, special orthopaedic testing, multiple-disciplinary and multiple-modality treatment, along with precise client self-care protocols which facilitate musculoskeletal alignment and eliminate pain and injuries throughout the body. 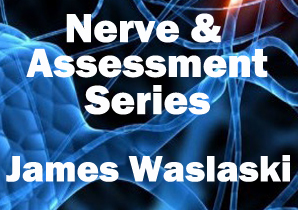 This is a follow up to the workshop held several years ago and should not be missed by anyone familar with James Waslaski and orthopaedic assessment.